We all know that a nutritious, well-balanced diet (or the lack of one) can have a number of far-reaching effects on overall health. But does what we eat affect our ears? It turns out it does, at least where iron is concerned. New research suggests a strong link between a lack of this important nutrient and hearing health. 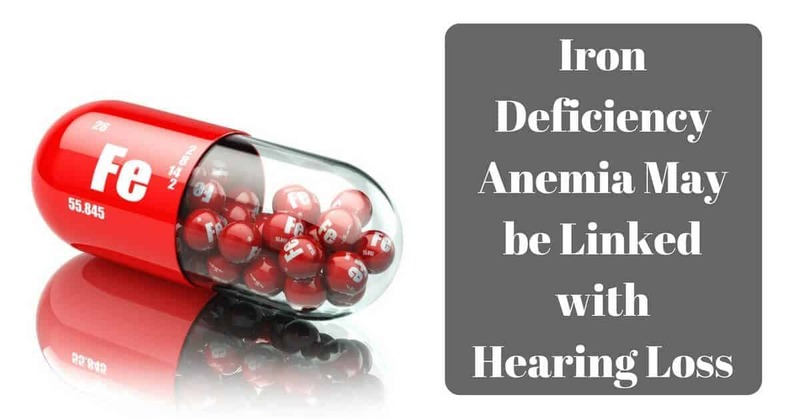 The study, which included 305,339 participants between the ages of 21 and 90, found that people with iron deficiency anemia (IDA) are twice as likely to have problems with their hearing than those with normal levels of iron in their blood. The study was carried out by Kathleen Schieffer and her colleagues at the Pennsylvania State University College of Medicine and was published in the December 29, 2016 online issue of JAMA Otolaryngology-Head and Neck Surgery. For this study, 305,339 adults took part in the research, which revealed that anemia doubled the risk of developing sensorineural hearing loss and combined sensorineural and conductive hearing loss in individuals with this blood condition. Every year there are 200,000 new cases of sensorineural hearing loss reported, according to the Mayo Clinic. This is the most common type of hearing loss, and it is caused by damage to the inner ear or auditory nerve. In children, this type of loss can result from congenital defects and infections, among other causes. In adults, it is mainly attributed to aging and exposure to loud noise. Sensorineural hearing loss isn’t reversible, but most people with this type of loss benefit from treatment with hearing aids. Conductive hearing loss is the less common variety, and can often be corrected with surgery or medication. Obstructions in the ear canal, ear infections, impacted earwax, allergies and benign tumors can cause this type of hearing loss, which is often temporary. When the obstruction that is preventing sound from travelling through the ear canal is removed, most people with conductive hearing loss find that their hearing returns to normal. Insufficient iron levels can affect your health in a number of ways, including your hearing health, but the good news is it’s treatable. Iron deficiency anemia occurs when your red blood cells lack the hemoglobin they need to carry oxygen around the body, but this problem can usually be corrected with supplementation. Anemia is quite common, affecting over 3 million Americans. Symptoms range from mild to more severe and can include weight loss, decreased energy, headaches, dizziness, backaches and shortness of breath. IDA is more common in women during childbearing years, though people of all ages can develop it. Anemia is also common in pregnancy, and many pregnant women find it helpful to take an iron supplement. Some types of anemia are hereditary, such as sickle cell anemia, while others are caused by chronic disease such as kidney disease, or are a result of chemotherapy treatment. For most people, a balanced diet is all that is necessary for the body to maintain an adequate level of iron. Iron-rich foods include red meat, poultry, beans, peas, dark leafy greens, dried fruit, iron-fortified cereals, pasta and seafood. Oxygen is vital to the health of the inner ear–particularly the sensory hair cells which are responsible for translating sounds into electrical signals. A deficiency of oxygen can damage these important hair cells and inhibit their ability to carry out this task of transmitting sound to the brain where it can be interpreted. If you suspect you have an iron deficiency, visit your doctor and find out if supplementation is necessary, or what other courses of treatment may be required to boost your iron levels. Although the link between hearing loss and anemia is strong, the authors of the study emphasize that more research is needed before iron supplements can be used as a treatment plan for hearing issues. Have you experienced changes in your hearing? Schedule a hearing test with us at Gulf Gate Hearing Aid Center today.